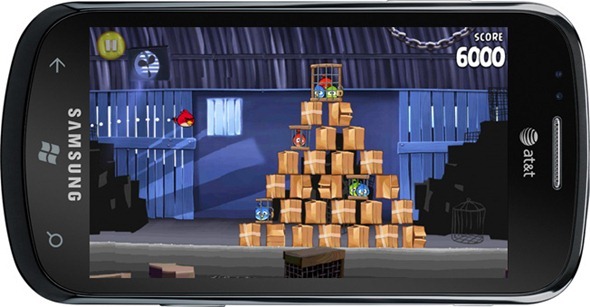 Angry Birds was first introduced on the iOS App Store in December 2009 and has since taken the casual gaming world by storm, consistently remaining the most downloaded app in the App Store. It has since found its way onto other platforms, such as Android, Symbian, Windows, Mac and even the browser. Put together, the game has been downloaded 250 million times, including special editions, across all platforms. The concept of launching birds at evil green pigs for hours on end has clearly proven to be a really addictive concept. Rovio has capitalized on this by releasing special editions of Angry Birds alluding to different themes, such as Halloween and the movie Rio. In addition, Rovio sells accessories from within games, which include the Eagle, a powerful "bird" that can take down pigs more quickly (since that’s the goal of the game). Such a widespread game is definitely an advantage for a new platform like Windows Phone 7. With the software available in all range of platforms, including Google Chrome, as we mentioned before, it was rather embarrassing for Microsoft not to have the game on its mobile platform yet. All those casual gamers who were reluctant to get a Windows Phone due to the lack of games will find that developers are finally adopting Windows Phone 7. Indeed, the amount of applications available on Microsoft’s App Marketplace has ground exponentially. Windows Phone 7 was released last year as part of an effort to make Windows Mobile, as Microsoft’s Mobile operating system was previously called, more attractive. Windows Phone 7 is the first truly multi-touch-Windows-based OS. As if that wasn’t enough, it’s also the first truly internet-powered one, with Facebook integration built right in. 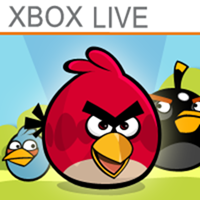 Windows Phone 7 users can download Angry Birds from the Windows Phone Marketplace today for $2.99. Click here to get it now.